Tom Kelly knew it was time to change his ways when he inadvertently lied to his sister. For almost two decades he'd worked in the lawn-care industry, first for a company bought out by TruGreen, and later with his own business, Lawn Dawg, which grew to seven branches that maintained 25,000 lawns throughout his home base of New Hampshire. 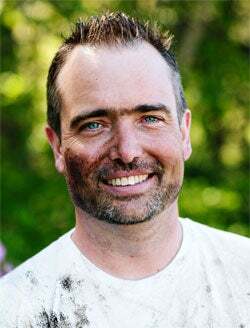 In 2005 customers began to demand alternatives to synthetic fertilizers and pesticides, and Kelly and his business partner faced a tough decision. "I remember the day specifically," he says. "We decided that instead of making product changes, we would just change our messaging." They turned their logo green and rebranded their service as EarthCare, but continued to spray the same chemical compounds on customers' lawns. The decision never sat well with Kelly, and in his spare time he researched organic fertilizers, trying to find a cost-effective, results-driven and natural lawn-care regimen. At the same time, his nephew developed asthma and other respiratory problems. When Kelly asked his sister if the doctors thought it could have been triggered by pesticide exposure from treated grass, she said, "We don't have to worry about that; you guys are organic." The comment landed like a punch to Kelly's stomach. He quickly sold off his company, took his research and in 2010 launched Fire Belly Organic Lawn Care, which sells its four-stage Organic Lawn in a Box system for residential use. The product, which follows standards set by the Northeast Organic Farming Association, proved so popular that Kelly began getting calls from large-scale lawn-care companies hoping to buy his fertilizers, made from kelp, corn gluten and other natural ingredients, in bulk for commercial use. He decided to team with Natural Technologies in Auburn, N.H., to produce and market the system to landscape companies under the brand name BeeSafe Organic Land Care. BeeSafe is used by 70 U.S. lawn-care providers working at about 20,000 commercial and institutional sites each year, including Harvard University and Universal Studios. Kelly hopes that in the next 10 years he can inspire enough homeowners and businesses to come on board that 50 percent of America's 40.5 million acres of lawn will be switched to organic care, reducing by half the 3 million tons of synthetic fertilizers and 30,000 tons of pesticides used annually. It's a pie-in-the sky vision for a small company, but even a fraction of that would be a revolution in an industry that has been reliant on petroleum-based chemicals for half a century. When David Melevsky started Go Green Landscaping five years ago in Maine, he struggled to find organic products that were affordable and effective, until discovering BeeSafe. "Tom's company is scientifically based and safe," Melevsky says. "It was an easy sell because it's an actual program with different products to apply at different times of the year. So far clients are really happy--the products actually work." Kelly is optimistic about BeeSafe's future. "I think a switch to organic will happen--lawn care is changing" he says. "Not long ago people were defiant and angry [about what I was doing], saying I was trying to hurt the industry. But I'm a lawn guy, an admitted lifer. In the last five years, people's attitudes have changed. Now what I'm talking about doesn't seem that crazy."